In 1845, Henry David Thoreau moved from his parents' house in Concord, Massachusetts, to a one-room cabin on land owned by his mentor, Ralph Waldo Emerson. After 26 months he transformed his stay in the woods into one of the most famous events in American history. In Walden x 40, adopting Thoreau's own compositional method, Robert B. Ray takes up several questions posed in Walden. Thoreau developed his books from his lectures, and his lectures from his almost-daily journal notations of the world around him, with its fluctuating weather and appointed seasons, both forever familiar and suddenly brand new. 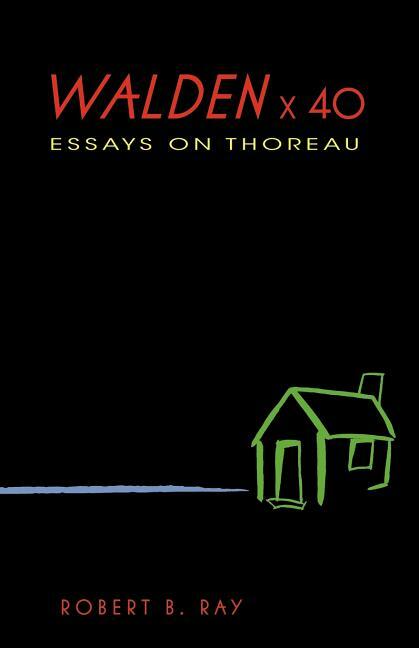 Ray derives his 40 brief essays from the details of Walden itself, reading the book in the way that Thoreau proposed to explore his own life--deliberately. Ray demonstrates that however accustomed we have grown to its lessons, Walden continues to be as surprising as the November snowfall that, Thoreau reports, "covered the ground... and surrounded me suddenly with the scenery of winter."